You are currently browsing the category archive for the ‘Love and Other Drugs’ category. Let’s get this out of the way first: Love and Other Drugs is a mess. Tonal shifts are swift and severe. Characterizations are thin and off-putting. The line between decency and ickiness gets thoroughly trampled. Time drags. But there’s just something about it that clicks. I guess the story works just enough and the emotional notes connect just enough to keep it hanging around in my head. It’s usually light – except when it abruptly isn’t – but that doesn’t prevent it from thematically punching above its weight. As Hathaway and Gyllenhaal (Maggie and Jamie, respectively) court, she repeatedly tries to push him away due to her illness. Meanwhile, he climbs the corporate ladder at Pfizer as Viagra hits the market while pausing his horndog lifestyle as he pursues her. Oddly enough, I do not share the concerns I see cited most often with this film. Let’s discuss. 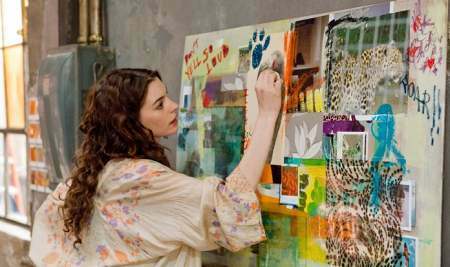 One, that giving Hathaway’s character Parkinson’s is unnecessarily manipulative. I say the biggest issue is that she’s already a classic manic pixie dream girl and giving her Parkinson’s puts her too far over the top. The short shrift the disease gets in the film as it races through a dozen other plot points and themes is a problem because its development remains too superficial. A better romantic comedy is waiting to be made to adeptly explore the issue, but Drugs only scratches the surface. But that doesn’t mean it doesn’t occasionally connect. I’d say there are a good number of small moments with resonance and subtle power. Others say the film is too preachy or too obvious with the indictments of the healthcare system it tries to make. Maybe because it was preaching to the choir with me, the various points it tries to make didn’t strike me as that egregious. The issue isn’t that a doctor wearily confides to Jamie that the decked is stacked against him providing quality care to his patients, it’s that the doctor never shows that kind of contemplation at any other part of the movie. It’s not that Maggie makes comments about drug affordability as she leads a group of seniors on a bus trip to Canada to buy their medications, it’s that by doing so she becomes an increasingly fictional character. It’s not that Jamie’s boss has an outburst about the company screwing him over, but that the film immediately cuts away and that plot thread and theme are never picked up again. Finally, the plot launches when Jamie poses as a medical intern while trying to sell a doctor Pfizer products. Maggie is the patient and she whips out her breast during the exam. Naturally this is a huge invasion of privacy and probably violates a dozen ethics rules. Apparently this has ruined the film for some people the offenses are so grievous. I think the film does enough to establish the doctor is a sleazebag that I don’t mind. But shouldn’t a larger problem be that Maggie, once discovering what Jamie did, gets over her anger in about 90 seconds and soon after invites him into her bed (or kitchen floor, as it were)? Once again, her character just gets less believable. And the complaints that the character of Jamie’s brother was useless? Chill out. Which all is to say that I’m somewhat conflicted. I found it mildly amusing and adequately emotionally effective. As this winter’s film crop moves onto DVD I could probably recommend two dozen other movies over Love and Other Drugs. But should you decide to spend the time with a naked Hathaway and Gyllenhaal, it wouldn’t really be a waste. Awards buzz never really materialized (Gyllenhaal and Hathaway did both pick up Golden Globe nods, however) but Hathaway still punched her ticket to the big show by hosting the damn thing.